It's been almost a month since this exhibition -- the largest that the museum has devoted exclusively to Germany's first modern movement -- opened to wide acclaim at the MoMA. If you haven't visited yet, you have a little over a month to catch it. For those of you non-New Yorkers, we can offer the second best thing: the exhibition catalogue. 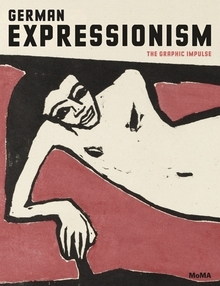 MoMA's publication, German Expressionism: The Graphic Impulse, is a fantastic resource, showcasing the Museum's outstanding holdings of Expressionist prints, enhanced by a selection of drawings, paintings, and sculptures also from the collection. 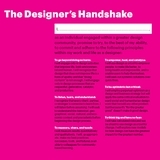 There are two fantastic slideshows of images from the exhibition on the web right now, one on the MoMA's website and another from The New York Times. 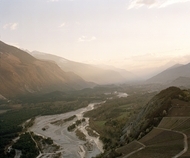 Those slideshows focus exclusively on prints from the exhibition. While printmaking is the trademark medium of this movement, I chose to feature here drawings, paintings and sculpture, to try to give a slightly different perspective. 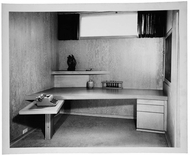 Of the exhibition, the New York Times' Roberta Smith writes: "The [German Expressionist] style combusted spontaneously after 1905 among artists in Dresden and Munich who were inspired by the brilliant colors and distorted forms of the Post-Impressionists and then the Fauves, as well as by peasant art and primitive art; it sputtered out sometime in the 1920s. With only occasional lapses, the show is infused with an urgent, crackling energy, by turns joyful, satiric, grim and tragic." German Expressionism: The Graphic Impulse continues through July 11 at The Museum of Modern Art. 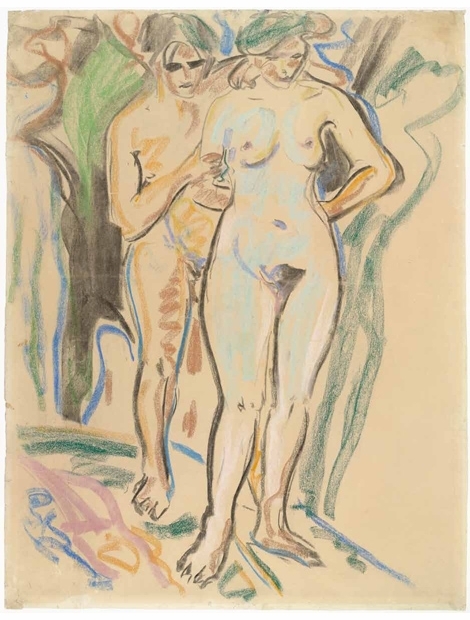 Above, Ernst Ludwig Kirchner's Two Nudes in a Landscape, from 1908–10. This pastel and charcoal drawing, made at an early stage in the artist's career, is softer and more lyrical than the jarring images we tend to associate with Kirchner and German Expressionism in general. It was made prior to his move to Berlin in 1911, after which he began his acclaimed series of "street walker" paintings. Though this drawing has a sensitive touch, it does begin to hint at the vibrancy and discord that characterizes his later work. Below is Kirchner's Standing Girl, Caryatid, from 1909–10. This carved and painted wooden sculpture, standing at about a foot and a half tall, brilliantly embodies Kirchner's recognizable line quality, exemplified in his woodblock prints. He transforms that graphic line into a tender, yet stark, three-dimensional object. 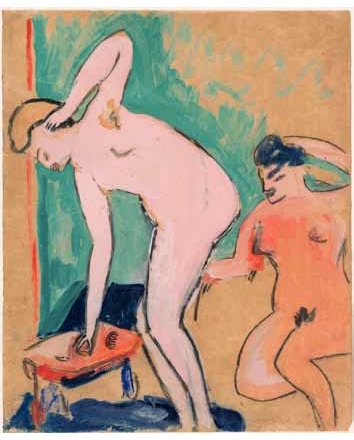 Above, Erich Heckel's striking drawing Two Female Nudes, from 1910, is reminiscent of Degas's bathing nudes from the late 1800s. The artist used gouache, an opaque water-based medium akin to watercolor, to create the bold colors that give this sketch so much life. 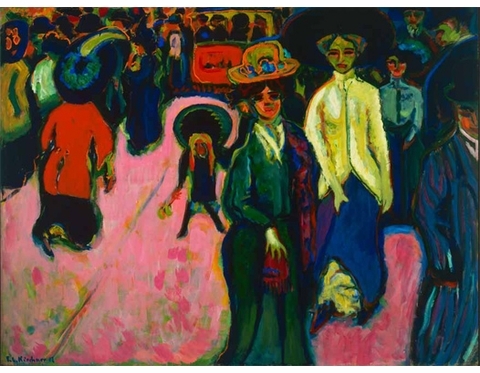 Below, a well-known example of Kirchner's "street walker" paintings. Street, Dresden, begun in 1907-8 and reworked in 1919, has come to symbolize the whole German Expressionist movement in modern art history books. It is the painting's expressive use of color - meaning that the colors, rather than being true to observation, signify emotion - that make it exemplary. The painting is often described as being nauseating; it leaves the viewer reeling with a palpable sense of the feelings that these artists were depicting: the confusion and sense of dislocation that modern city life could inflict. Additionally, I reccomend checking out this fantastic web resource from the MoMA, in which you can view over 20 illustrated books from the MoMA's German Expressionism collection. Their page-by-page viewer is slow to load, but if you love this aesthetic and history, it will be worth the wait. 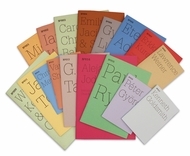 Here's a link: http://www.moma.org/explore/collection/ge/illustrated_books. Hbk, 9.5 x 12 in. / 288 pgs / 295 color. 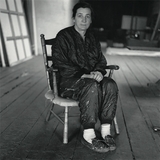 Agnes Martin: "Beauty Is the Mystery of Life"
What Shall We Want to Have Called a "Book"?